Hey Guys, Thank You for lots of love and likes on facebook. I would like to read some comments from your end. Those who have shared some of my post - Thanks a lot to all of you. I am grateful to such actions from your end. Alright, so today I have to share something about VLCC as you can see it in the image itself. Most of you might be using this product just as I do use it everyday. And to those who have not used this product or thinking to swap on any other cream then here you go. 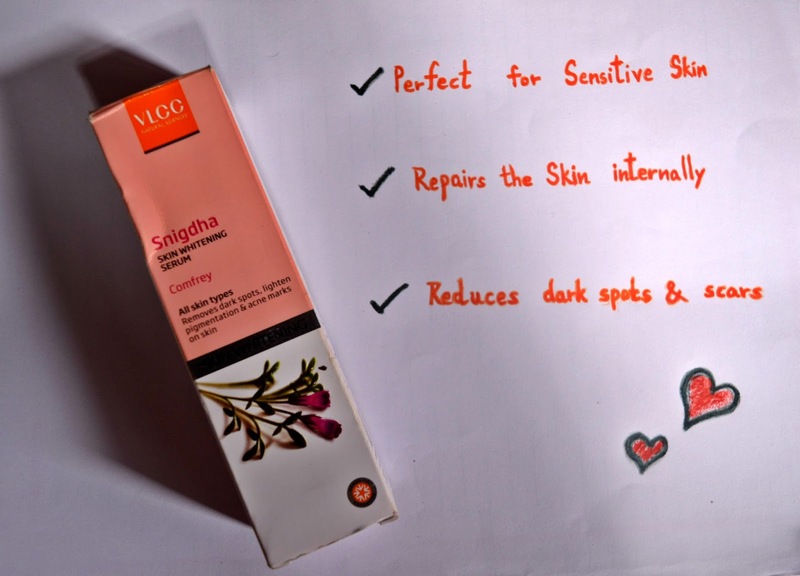 A lot of people prefer using any one of these product of VLCC, either serum or day and night cream. Honestly you must use all the three. All three are available in the market, stores, and online website; therefore, ensure that you buy all the three because you need to use it according the steps given below and then see the results after using for a month. Therefore, you must not bother about the result and better stay out of curiosity. All you need to do is follow these simple steps to rejuvenate your skin that can be bring excellent results. Just as you breathe oxygen throughout the day, your skin can stay alive from water. As a result, being dependent on the cream is absolutely a wrong perception. Ensure that you have an habit of daily intake of water. Now your intake of water purely depends on the height and weight that you have. Simply drinking water can surely improve the skin, but if the cells of your skin are dead then you must apply the serum and the day cream or night cream. The ingredients of this product slowly settles inside the skin to renew the cells. Like we all know that the base has to be perfect, following these simple steps will improve the roots of your skin daily. The cells inside the skin repairs the first inner layer that will slowly reduce the pigmentation, remove dark spots, and scars. The moment the ingredients repairs your skin, there are less chances of acnes and pimples on your face. Wash your face with VLCC fashwash and pat it dry. 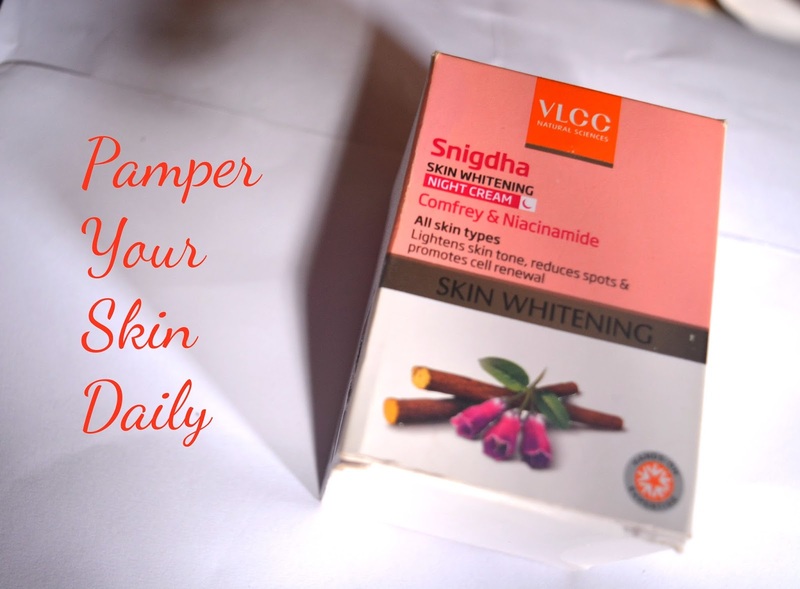 Apply the skin whitening serum allover the face as well around your neck. Let the skin absorb the serum for at least 5 minutes. Apply the Skin Whitening Day Cream SPF 25 allover the face as well as around your neck. Keep massaging gently on your forehead, cheeks, nose, chin, and neck in a circular motion for a while. Liquorice is a perfect remedy specifically for those who have sensitive skin. Whereas all the berry fruits are known as pigmented fruits; hence, Mulberry can lighten the pigmented areas or patches of skin. 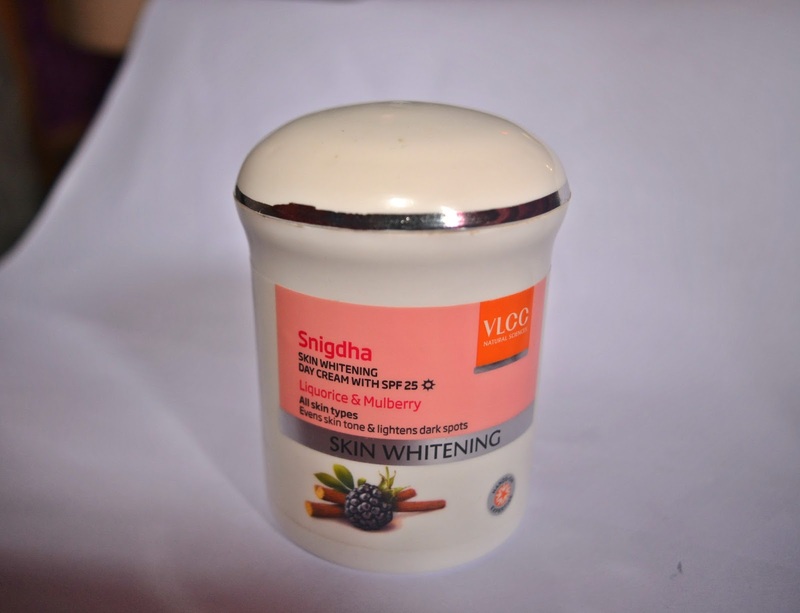 Apply the Skin Whitening Night Cream SPF 25 allover the face as well as around your neck. Comfrey acts as an healing therapy to your skin. It is majorly known to repair the wounds, and scars. While the ingredient Nianicinamide can improve an aging skin to make you look young. Hope you have tried it. If not, try using it for a month to see the results. In case you are facing any problem at an initial stage, stop using it. Make sure that you buy a fresh stock from the shop or online stores. 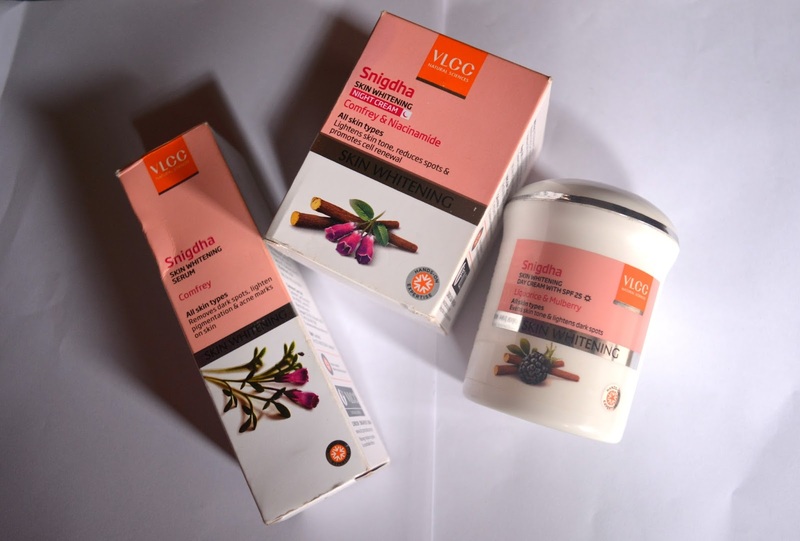 There are chances of availing this cream at discount or offers too. Do grab the opportunity from the VLCC website and from the online websites.